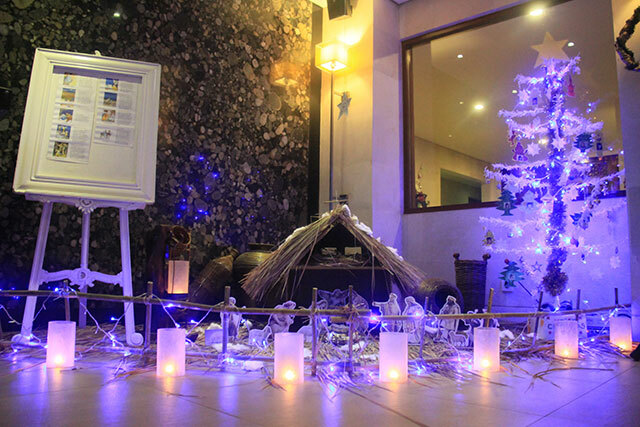 The luxury all inclusive resort in Nusa Dua, Samabe Bali Suites & Villas, celebrated the Festive Seasons in style. 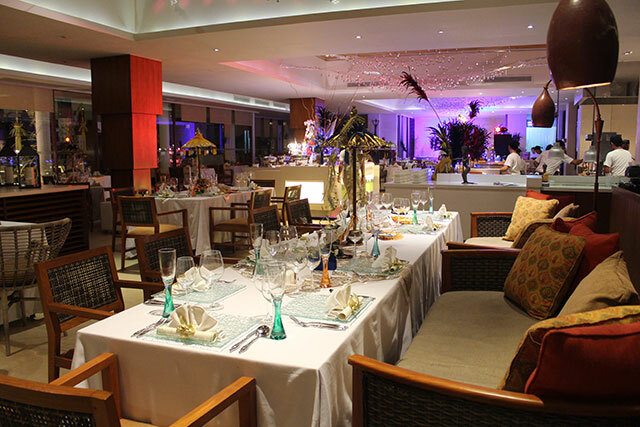 On 19 and 24 December 2015, the General Manager, Ralf Luthe, invited the in-house guests to the cocktail party. 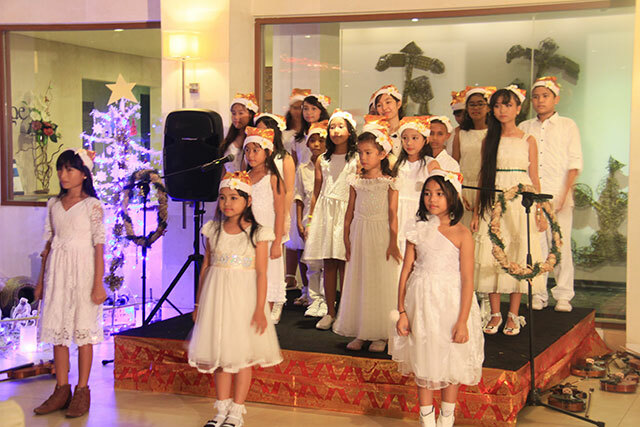 Through this party, the resort attempted to give back to the community by selling Christmas tree decoration, and donate the money to an orphanage in Klungkung. After an awesome choir on Christmas Eve, Samabe guests are surprised by the Santa Claus's buggy stopping at Crystal Blue. He came down to the pool side with his crunchy laugh with a big sack of presents in his hands "Ho..Ho..Ho..Merry Christmas" He sincerely gave the gift to every children, and play with the parents after. 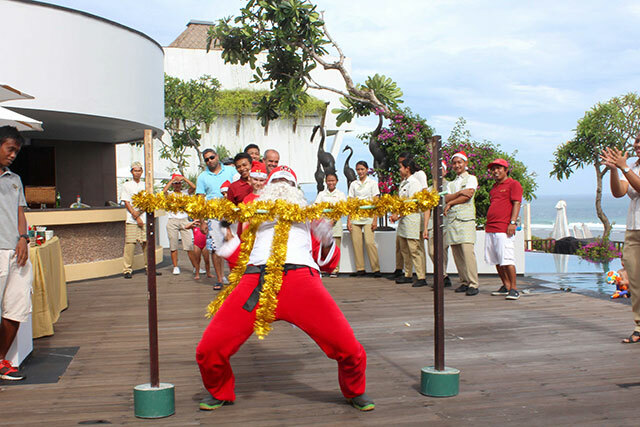 The limbo contest led by Santa has successfully energizes the afternoon. 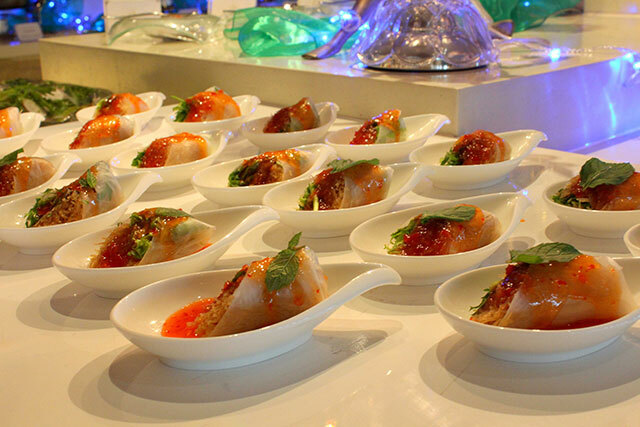 It seems that the Santa & Cocktail Party were not enough for Samabe, the Executive Chef, Tashia Yunasz, served special buffet menu with an eclectic dishes from both western and eastern countries on 24th until 30th December 2015. The restaurant was decorated thematically. The big event on 31 December 2015 started with Devdan Show in Bali Nusa Dua Theater. The show warmed up the guests for the party. Entertained by Balinese Cultural Show and live music, the party was memorable.